Posted by Kerri Demski on Thursday, September 12th, 2013 at 6:20pm. Busy summer! 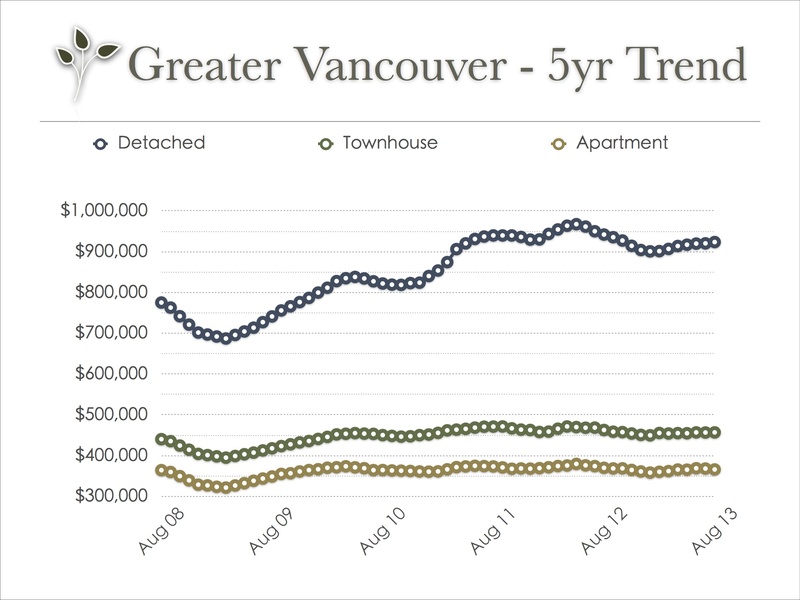 Sales were well above average compared to 2012 and in fact, North Vancouver experienced the highest number of sales in July and August since 2009. Despite the extremely slow pace over the past year, prices have held steady. 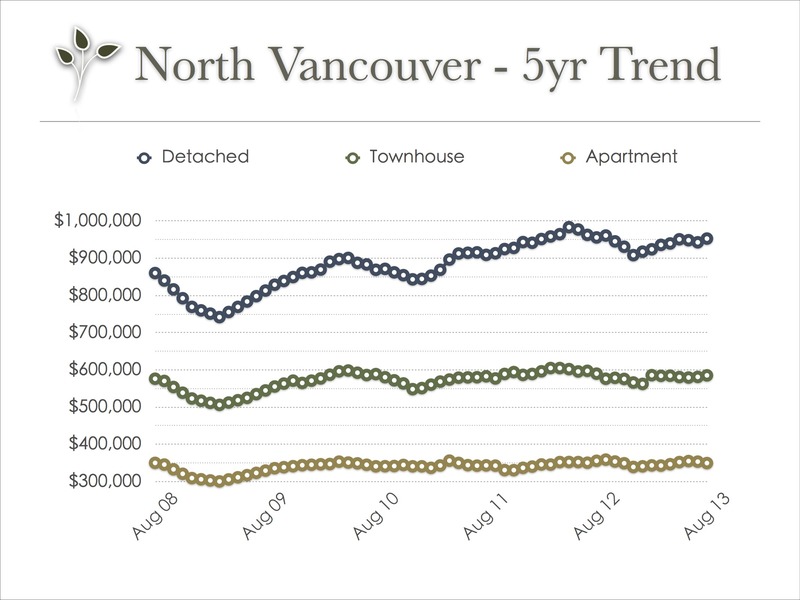 All time highs were reached in the spring of 2012, over all property types, in North Van and bottomed out in December and January. We've slowly been edging up almost every month since. Last July, CMHC changed many of their rules and regulations surrounding lending which changed the market almost immediately. In retrospect, it was like somebody turned the lights off. This year, the interest rate increase(s) along with CMHC's latest announcement that they will now (annually) cap the amount that they will insure each year, pushed many buyers off the fence. Given that the housing market didn't crash as some had predicted, many purchasers searching for 'the bottom' were confident to move forward. This meant an flood of first time buyers who took advantage of their locked in rates and in-turn, many sellers who had already found their new place were finally in a position to make an offer or remove their 'subject to sale' condition. Now that summer has come to and end and vacations are over, the kids are back at school and everyone is settling into their new routines… it's pretty quiet out there. We suspect that, as usual, activity will pick up again in the next week or so. We've already been seeing more product come on the market this week. We would even take it a step further and predict that we'll be in for a busier fall as compared to recent years. 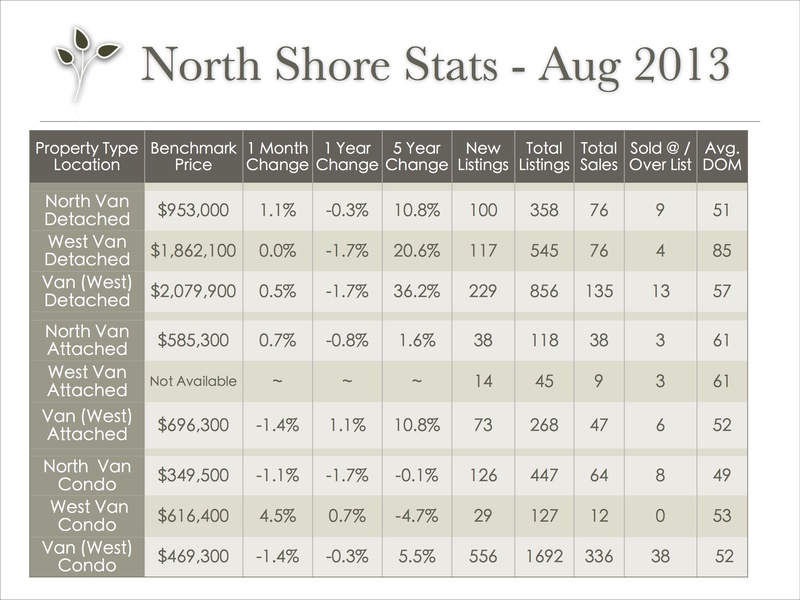 Stats are provided by the Real Estate Board of Greater Vancouver; feel free to view the complete REBGV Stats Package for August, 2013 on their website.